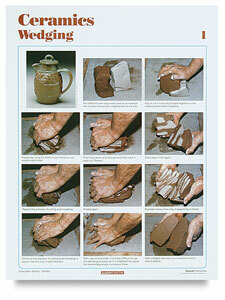 This set of posters illustrates and explains basic ceramics concepts, including wedging, coil, and slab construction, hump molds, centering, throwing, trimming, glazing, and firing. 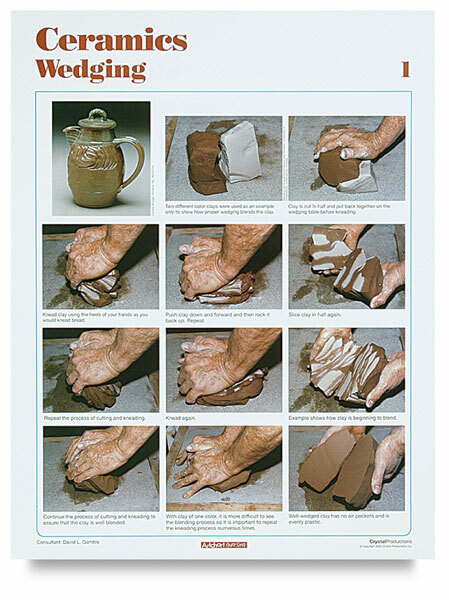 Shows examples of leading ceramists' finished work. Serves as a handy reference for students. Ideal for classroom display or individual student use. Printed on card stock with a protective coating and holes for hanging. Includes 14 full color posters. 17" × 22" (43 cm × 56 cm).